Jiang Cheng, in addition to serving as a Scott College of Business visiting scholar during Spring 2011, has taught actuarial science, corporate governance, international corporate finance and economics for several years in the United States and in China. He currently teaches in the Department of Accounting, Antai College of Management, Shanghai Jiao Tong University in Shanghai, China. He received a B. S. in Economics & Applied Mathematical Statistics from the Shanghai University of Finance and Economics and an MBA from Fudan University, China. 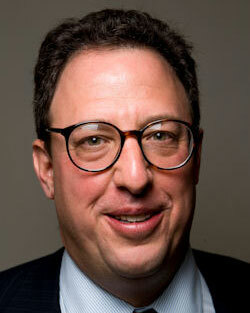 He earned his Ph.D. degree in Risk Management and Insurance from Temple University at Philadelphia. Cheng's research has been published by leading insurance journals in the United States, such as Journal of Risk and Insurance. He specializes in insurance regulation, corporate governance, financial market and institution, and accounting manipulation. M. Kabir Hassan is a financial economist with consulting, research and teaching experiences in development finance, money and capital markets, corporate finance, investments, monetary economics, macroeconomics, Islamic banking, international trade and finance. He has published five books and over 70 articles in refereed academic journals and has presented over 100 research papers at professional conferences globally and has provided consultant services to several national and international organizations and governments. Dr. Hassan is an associate professor of finance at the University of New Orleans, where he has been recognized for for his research and has seven times won an Outstanding Teacher Award. Dr. Hassan holds an M.A. in economics and a Ph.D. in finance from University of Nebraska-Lincoln. Dr. Hassan is involved with several professional, civic and cultural organizations. He is on the Board of Directors of the Academy of Financial Services, the Asian Pacific American Society, the New Orleans Museum of Arts, and the Association for Economic and Development Studies on Bangladesh, USA. 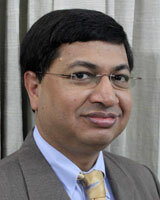 Dr. Hassan has been elected as the President of the Academy of International Business-SW, the Association for Economic and Development Studies on Bangladesh (AEDSB), and the Southwestern Society of Economists (SSE). A frequent traveler, Dr. Hassan gives lectures and consulting advice in the US and abroad. 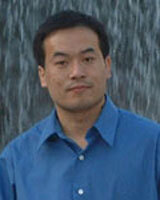 Zhiyong (John) Liu is an associate professor at Indiana State University's Scott College of Business. Specializing in Insurance and Risk Management his research interests include Law and Economics and Industrial Organization. As a member of the Tsinghua research team with the grant from Hong Kong Monetary Authority he studied the effect of the globalization of Chinese mainland economy on Hong Kong as an international financial center. Liu received his B.A. in Economics from Wuhan University, China, his M.A. 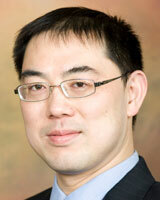 in Economics from Peking University and his Ph.D. from the Kellogg School of Management, Northwestern University. Liu is editor of the Asian Journal of Law and Economics the official journal of the Asian Law and Economics Association and his papers have been published in such journals as the International Review of Law and Economics, Review of Industrial Organization, American Law and Economics Review and Journal of Insurance Regulation. Christopher Whalen is Senior Managing Director of Tangent Capital Partners in New York, where he works as an investment banker providing advisory services focused on companies in the financial services sector. Whalen is co-founder and Vice Chairman of the board of Lord, Whalen LLC, parent of Institutional Risk Analytics, the Los Angeles based provider of bank ratings, risk management tools and consulting services for auditors, regulators and financial professionals. Whalen authored Inflated: How Money and Debt Built the American Dream (2010), now in a second printing from John Wiley & Sons, and he currently edits The Institutional Risk Analyst, a weekly news report and commentary on significant developments in and around the global financial markets. He also contributes articles to Zero Hedge, Housing Wire and The Big Picture. Whalen has appeared before Congress, the Securities and Exchange Commission and Federal Deposit Insurance Corporation on a range of financial, economic and political issues. He is a member of Professional Risk Managers International Association and was regional director of PRMIA’s Washington D.C. chapter from 2006 through January 2010. He is a member of the Economic Advisory Committee of the Financial Industry Regulatory Authority and the Global Interdependence Center in Philadelphia. For further information, please visit http://www.rcwhalen.com/ .